Grammy-award winning violinist and recording artist Charlie Bisharat was born in Inglewood, CA in 1963. His father was a Palestinian immigrant from Jerusalem and immigrated to the United States in the 1950s to pursue his medical education. At the age of four, Bisharat’s journey with the violin began. His mother immediately recognized his talent and nurtured his skill. As he grew, he became more disciplined in the art – transitioning from playing the violin as a small hob to waking up at five in the morning to practice classical music. He received a degree from University of Southern California in Biology with the intention of following in his father’s footsteps in becoming a doctor – however, his plans changed when a New Age group called Shadowfax asked him to tour with them in South America. That year the group won a Grammy for Best New Age Performance that year for Folksongs for a Nuclear Village. Bisharat’s career soared and he has since performed with internationally renowned artists including Yanni, John Tesh, Elton John, the Rolling Stones and Aerosmith. He has also been featured in many Hollywood films such as Titanic, Swordfish, Austin Powers in Goldmember, the Drew Carey Show, and the popular television show Friends. His latest work has been featured in the 2013 movie Not Today. 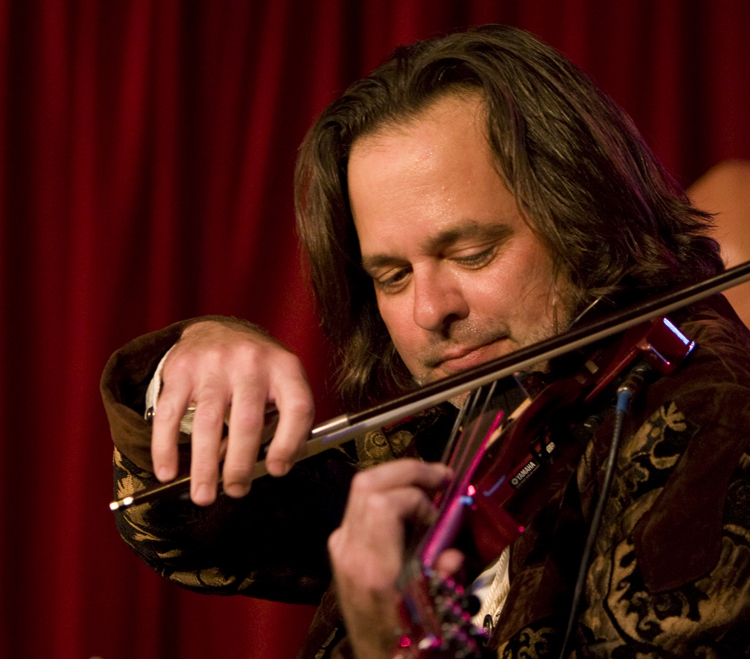 He also performs with the Los Angeles Chamber Orchestra and Philharmonic. Bisharat’s Palestinian heritage is most reflected in his Al-Andalus ensemble. It blends both Latin American and Middle Eastern themes. One of Bisharat’s dreams is to someday perform in Palestine.